OSD Audio’s RSUB300 is a non-powered outdoor subwoofer that delivers gut-wrenching bass with a whopping 500W of power. This backyard subwoofer may shake a few plants and perhaps some neighbors too but it promises to deliver the kind of bass you’ve been looking for to fill the backyard, patio or pool area with detailed, crisp and heart-pounding low notes. 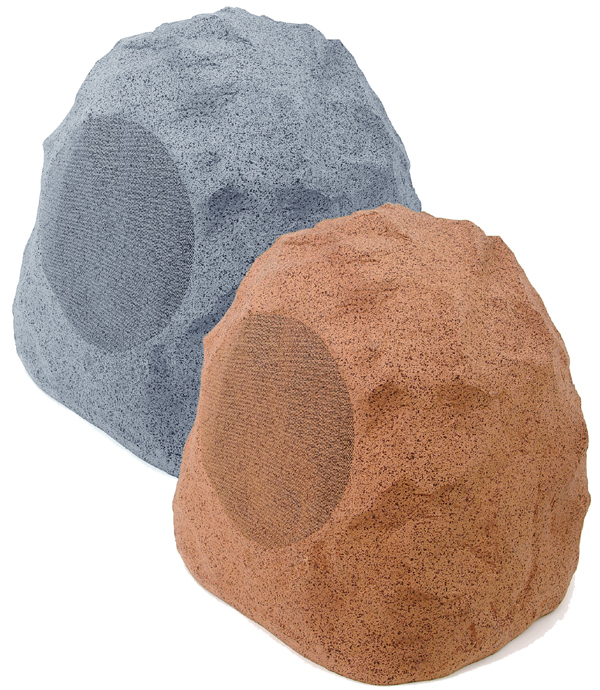 Although it may appear to look like a simple and attractive rock found in any backyard or garden, inside the RSUB300 hides a robust 10” reflective woofer and an 8-inch subwoofer for incredibly realistic bass notes to round out a 2.1 or 5.1 or higher outdoor surround sound system. Designed specifically to provide the best sound in open air environments, the RSUB300 includes a rigid and acoustically inert enclosure with aerospace-grade multi-layer composite cabinetry that protects the outdoor subwoofer from the elements such as rain, snow and high temperatures. What Are the Benefits of Adding an Outdoor Subwoofer? Adding a subwoofer to a backyard sound system makes a lot of sense and here’s why. If you have outdoor speakers in your patio or backyard, you’re hearing mid and high frequencies and some bass. But outdoor speakers are not designed to handle only low frequencies; that’s a subwoofer’s job. What many people don’t realize, however, is that when you add an outdoor subwoofer, it takes the low-frequency burden off the other speakers. By adding a subwoofer, you’ll not only hear awesome bass, it will optimize your surround systems because those speakers can focus on the sound frequencies for they were designed. The OSDRSUB300 is built to last with a rigid and acoustically inert enclosure with aerospace grade material that protects the 10" reflective woofer and 8" woofer; however, we recommend you place the outdoor subwoofer in a shaded area when possible and avoid contact with pool chemicals. In areas with very severe weather, it’s not a bad idea to cover them with a plastic bag so when spring comes and you spark up the barbeque, the music will be ready when you are. 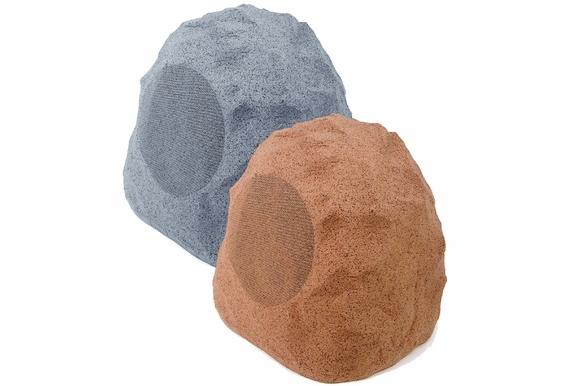 Unit Dimension: H 12" x W 25" x D 20"
This is one of the best outdoor rock subwoofers ever produced. The RSUB300 includes a 10" reflective woofer and a 8" subwoofer, all in one realistic looking rock, giving you Earth shattering bass. I have a 20x40 ft pool, currently I have 2 pairs of Bose 251â€™s facing each other being powered by your 200watt amp and being fed by your preamp. I want to add some bass to the setup. Iâ€™m trying to decide on these rock subs or the yellow buryable sub. I would buy your digital sub amp. Which would I get more bass out of? And would I need 2 subs? In addition, would the sub amp get itâ€™s source from line level? Could 2 of these be powered with an smp500 sub amp. Will it provide a good amount of power. Would i wire them in series. I just received the 300sub with the recommended 250 amp. The directions say if I use the LFE from my receiver the crossover from the 250amp will be bypassed. What is the best alternative from the receiver? Can I use the SMP500 DSP High Power Subwoofer Amplifier with the RSUB300? I'm looking for a good outdoor sub, and I cant help but notice that all the reviews are not current, what can you do for me to convince me that its good sub. 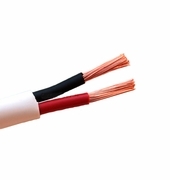 How would I wire 2 of the RSUB300's to a single SMP250? I currently have four 8 inch rock speakers around my pool and tool 12 in waterpoof speakers boxes hanging off my house. They system is hook up in series parallel. The over system is missing bass. I drive it with a Yamaha receiver that I think has 200 watts. I have the speakers running to a volume control and then into a speaker switch selector box and then into the push terminals in the back of my receiver. Does the RSUB300 replace one of my speakers? How would it be added to my existing system and where would I put it to maximize the bass. I want to purchase 4 of your subs. Do you have a single sub amp for it. I don’t want to split it from the amp I want the maximum power. So do I have to buy 4 of your single amps? We have a fairly large back yard. What is the recommendation for area coverage? Hi.. the OSD owner's manual states that the R SUB300 is an 8 ohm speaker, yet the picture on the site states that the "SUB300 features an 8 inch 4 ohm driver". Can you confirm which is correct? I have my outdoor TV connected to a set of sengled pulse speaker bulbs. They connect thru a adapter from the TV and are Bluetooth. Sengled also makes a wireless subwoofer adapter to Bluetooth connect an outdoor sub. Question is do I still need a amp or receiver to use this sub? Hello, need help. I purchased 1 R sub300 and 1 smp250 amp. I have an older outdoor sub woofer (tree stump version) that I purchased from OSD some time ago, I believe that model is discontinued so I don't have the specs or my manual on it but I believe its an 8" 250watt 8ohm woofer. My question is how would I wire the two subwoofers (the rsub300 and tree stump subwoofer) to the smp250 amp or would I need a second amp. thanks new to this sub wiring stuff. I attach pic of tree stump sub. maybe someone know the spec for it. Hello, I have a Pioneer VSX-830-K A/V receiver that is connected to 4 RS670 rock speakers I bought from OSD, they are connected with 2 front and 2 rear Binding posts in receiver. My question is, can I connect this Sub RSUB300 to the center connection of the receiver to add sub effect I am missing from my outdoor sound? 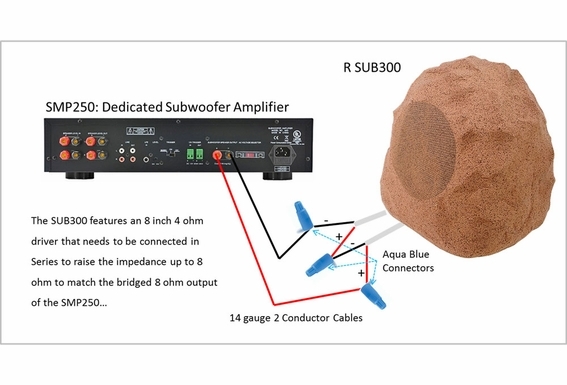 Can the Outdoor Subwoofer Rock OSD Audio RSUB300 be driven by a 200w amp? 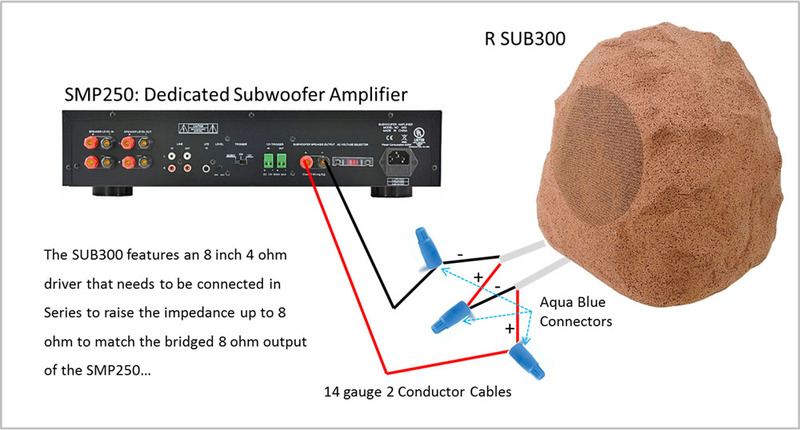 how many ohms is the Outdoor Subwoofer Rock OSD Audio RSUB300 ? i have a 120 watt 2-channel Yamaha receiver. Will I be able to wire this subwoofer to that receiver and the LS3-PE landscape speakers or will I need a dedicated subwoofer amplifier? Hi Rodney, You should be able to run the subwoofer off that receiver but I believe it would depend on the receiver's power handling capability. Can it run at 4ohm or just 8ohm? Also, if you do run this with satellite speakers, I would recommend running a volume control between the sub and the satellite speakers to control the volume of the speakers, since they will be much louder than the sub. I have purchased another RSUB300 do I need to buy another sub 250 mono amp or can one work. I have a onkyo txnr626 receiver that I just purchased with klipsch aw-650 speakers. I would like to add a outdoor subwoofer to this setup and am interested in the rsub300. I haven't set anything up yet but plan on doing so in the next week or two. My question is if I need a separate amp or if I can just wire the sub into the receiver I bought. Also, will one sub provide enough bass? I am looking for a nice clear sound. Nothing that will obnoxiously shake my deck and disturb neighbors, but something that will compliment the speakers nicely. Please let me know. Thanks! I see in the wiring diagram that there are 2 sets of wires coming from this sub that need to be wired in series to produce an 8 ohm load. I assume that means it's a dual voice coil driver? I saw that another customer asked about that you said that is not a dual voice coil, but what other explanation could there be for 2 sets of wires coming from it? They can't both be coming from the same voice coil of the same driver because then wiring them in series would just be jumping the + and - terminals of the speaker together and that would just cause the amp to short out. I have a Marantz amp that has 2 sub inputs. can i run these rock subs directly into the amp? I have an Onkyo receiver model TX-DS5555. It has a sub pre out. I use it to power my outdoor speakers made by by Paradigm. stylus OM-120. I want to buy this subwoofer but do not want to buy any additional amp. Will this receiver be enough to power this sub? How will I control the bass balance? Do I run a separate line from preout to the sub. This will be over 130 ft away. Is it better to get the other outdoor sub that is the green one 8". I called your office today and your salesman didn't have any answers. Please help want to purchase now. What kind of wire do I use for the sub preout. I own your tree stump outdoor subwoofer and damaged it with a Dayton Audio SPA250 subwoofer amp. Will the RSUB300 stand up to this amplifier? Also, this is a giant discount. Isnt is a good subwoofer, or are you replacing it with something else? There are two sets of wires that come with each speaker. 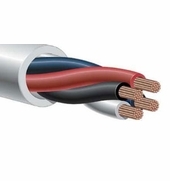 Is it necessary to have both wires connected? will this wireless sub work with my PC? I have a bose PC 3 peice speaker system with a sub. How does the transmitter hook up to the computer? What is the best gauge wire for this subwoofer? I have an Onkyo A/V receiver with a subwoofer out. Will it have enough power to make this sub sound good? How is the Subwoofer connected - connected from the receiver - Does this have speaker line level in and out for the Highs to go to the additonal satellite speakers or just speaker wire connections + / or left and right inputs? What is the recommended average RMS power form the amp Does this hae a speacker volume control to icreae the bass? Is this a powered subwoofer? Are these two speaker units joined as a unit, or are they separable? If they are separable, what are some location guidelines on locating the subs. These speakers have a 10" reflective woofer + 8" woofer. It comes with 2 speaker wires and I've connected them both but only the 8" woofer is working. The 10" woofer is a reflective woofer. The 8" woofer is the one that receives power. The purpose of the reflective woofer is to create resonance & improve bass response.